What does "Buy American" Mean? What does “Buy American” Mean? The phrase, “buy American” has sent Canadian business people into bouts of the night terrors for over a century. 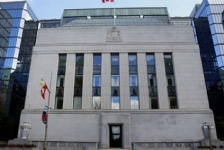 With a relatively small population strung out 200km deep along a 4500km long sea to sea strip, Canada is, at the same time, both too big and too small to sustain a domestic consumer market capable of creating and maintaining middle class incomes. Without free and unfettered access to the vastly larger American market, we will wither much faster than we care to contemplate. 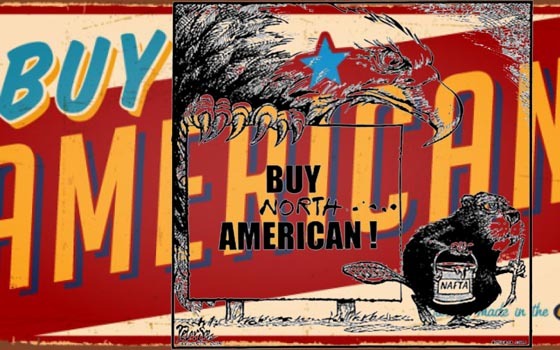 North of the 49th parallel, the phrase Buy America is oft heard as “Don’t buy from Canada”. After the terrorist attacks on Manhattan and Washington DC in September 2001, and more recently after the election of Donald Trump as President in November 2016, the phrase Buy American was used as a psychic tourniquet, a means of saying something simple that sounded meaningful and important. The question left for Canadians was, how impactful is the phrase, Buy American? 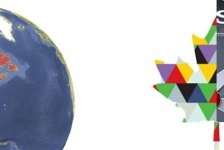 What does it really mean and more importantly, can Canadian businesses be treated as equal in a relationship that is manifestly unequal in size, scope, and power? It all started back in the winter of 1933. Unemployment was rampant as the country entered its third year of stagnation. The Buy America Act of 1933 was the first legislation that specifically required the federal government to favour US made products in all purchases. This act was the last act signed by President Hoover before his administration ceded power to Roosevelt at the height of the Great Depression. The Act stated that foreign made products could be sourced only in cases where the US made product was 25% more expensive, if the product could not be obtained through domestic sources, or if sourcing from a foreign producer was in the nation’s overall interest. Similar Buy American provisions were quickly applied to other federally funded infrastructure programs such as highways, dams, power production projects, telecommunications, and air and sea ports. This act very likely had the effect of stimulating domestic growth however Roosevelt’s introduction of the New Deal, and the massive expansion of federal infrastructure spending that ensured makes a before and after comparison difficult. During the Second World War, the Canadian and the US economies were highly integrated in order to maximize the war output of each nation. That integration led to the development of economies built on cross border manufacturing which remains the predominant generator of trade between the two countries. Canadian resources and manufactured goods became an integral part of the American industrial supply chain. Buy American provisions, in this case, could be overridden in the national interest. The auto sector is perhaps the best example. Developed during the period between the First and Second World wars, the auto industry underwent fundamental change during the war. Before the 1940s, there were distinct Canadian and American industries. After the Americans entered the war, the Canadian auto industry was absorbed and greatly expanded by its American counterpart. A system of trade developed that made the collection of industrial cities around the Great Lakes one of the most prosperous regions on Earth. From the 1950s to the present, some auto components will have crossed the border between Ontario and Michigan seven or eight times as a car is manufactured. With the addition of Mexico to the North American Free Trade Agreement in the 1990s, a fleet of vehicles sold to the US Parks Service is likely to contain parts and components that have crossed multiple international borders during the manufacturing and assembly process. National interest as well as economic interest supersedes the Buy American Act of 1933. As things stand today, NAFTA provides a relatively open and robust framework for trade in goods, services, products, skills, and components between Canada, the US, and Mexico. 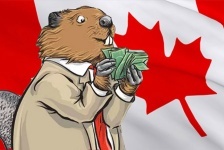 Under the agreement Canadian products are, above specific cost thresholds, considered equal to American ones with the very notable exception of federally funded highways and transportation projects. NAFTA is being renegotiated at the request of the American administration with the goal of completing talks by the end of 2017. Canada anticipates being a net beneficiary of a renegotiated NAFTA as the American’s real target appears to be low cost Mexican manufacturing plants operating along the Mexican, US border. That doesn’t mean our access to markets affected by massive federal government infrastructure spending will be protected and that has implications touching multiple industrial and information technology sectors. 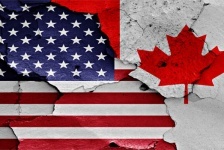 Today, the phrase Buy American is more a slogan than it is a threat but the threat for Canadian business is perceived as starkly as it’s implied. Where that stands next year is still up for negotiation.